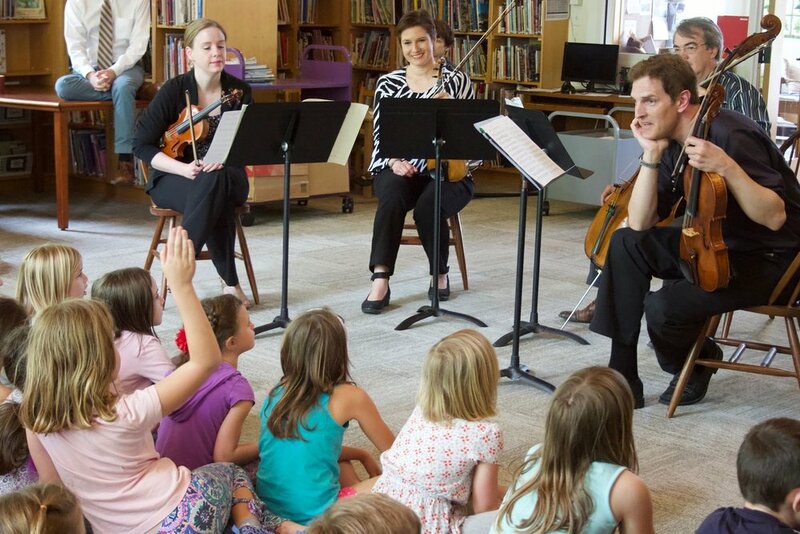 Taconic Music provides Southern Vermont communities with year-round concerts, lessons, demonstrations, and educational programs built upon the rich traditions of classical music. We offer inclusive points of entry through a variety of genres for people of all ages and walks of life who value music as part of their daily lives. In addition to individual music lessons through Strings for Kids which offers instruction for students ages 5–18, intermediate and advanced students can gain collaborative experience in the Taconic Junior Ensemble. Through our Music in Action program, we create customized programs for schools, veterans homes and senior residences, area libraries, art galleries, and other non-traditional venues.